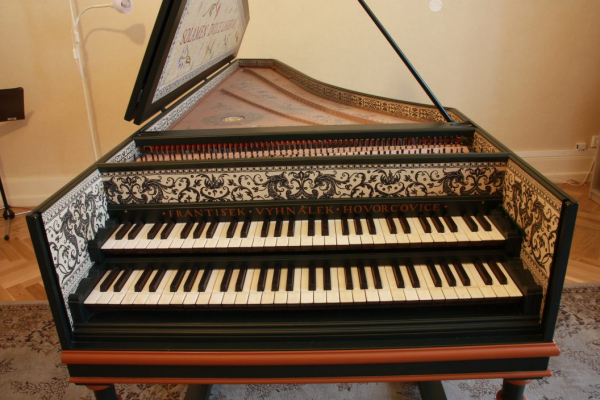 Two manual cembalo was built after the 1624 Johannes Ruckers model, which is kept in Musée Unterlinden (formerly belonged to the family de Sade and was kept at the Chateau de Conde, Condé-en-Brie). 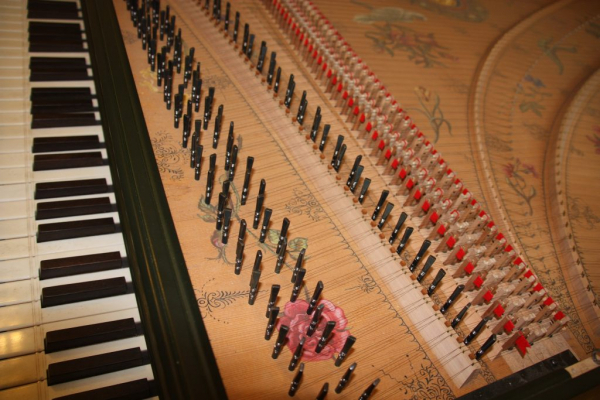 The Flemish cembalo is solid in construction, colorful in tone with a rich resonance. 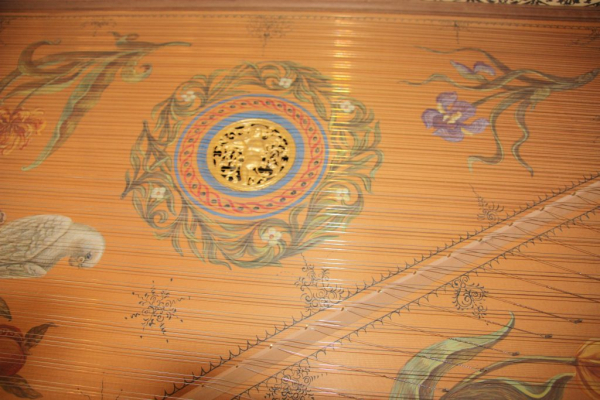 The Flemish makers were apparently the first to build two-manual harpsichords after 1600. 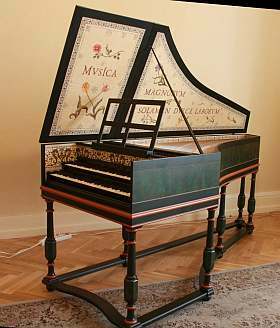 The workshop of Ruckers is credited to build probably the most perfect harpsichords ever and it sets the benchmark for harpsichordists and harpsichord makers even today. The compass: low G to upmost E. (58 keys). We are grateful to František Vyhnálek, to Giedré Lukšaité Mrázková and to Filip Dvořák for making this recording possible. recorded from close distance, using spaced omnis. The recording offers extraordinary rich, even and faithfull sound image of the instrument recorded. Recommended for soloistic use. recorded from close distance, using XY technique. The coincident membranes of the cardioid microphones used for the recording allow for the mono compatibility. 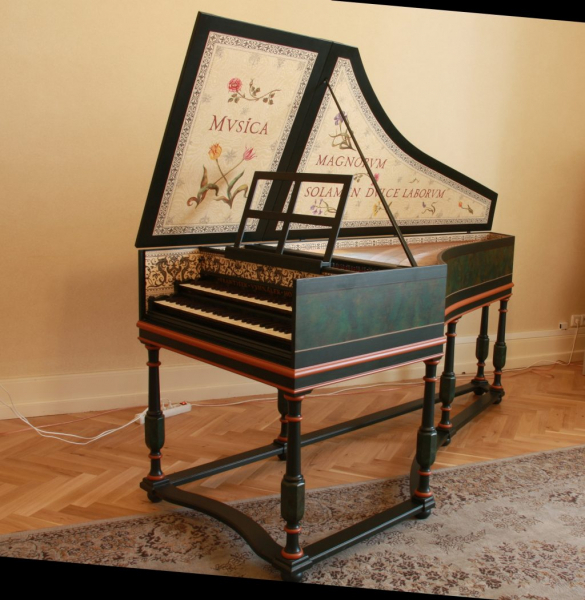 Thus, this variant of the cembalo model is suitable for the creation of audio montages, applying various effects, panning, mixing with other virtual instruments, etc. low G to upmost E. (58 keys). The manual coupler starts working on the lowest C. The keys under it are not coupled. Now the manual coupler starts on the low G as it should. The keys appear in black on Mac computers. Keys now appear as intended. The lowest G# of the Lute stop was sounding an octave lower in Equal temperament. It sounds correctly now.